Four Indoor in a row! The Clonliffe men’s stranglehold on the National Indoor League continues unabated. 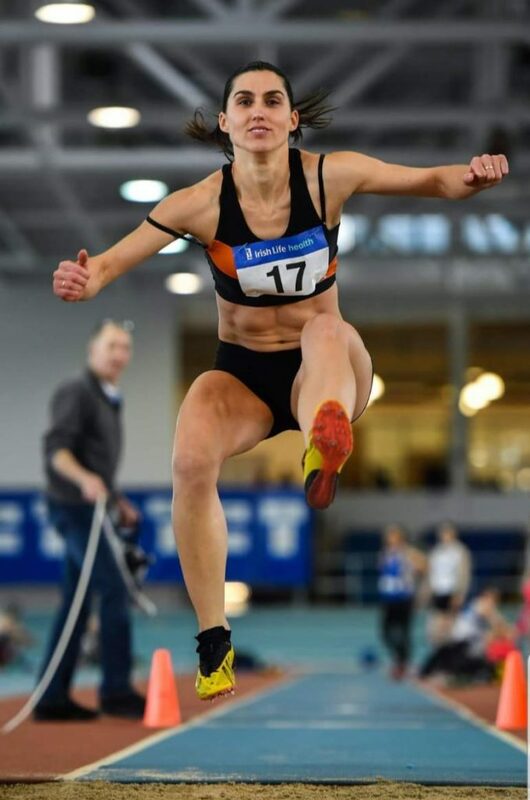 Round two of the National Indoor League took place in Athlone IT with the combined totals from day 1 and 2 deciding the Championship. 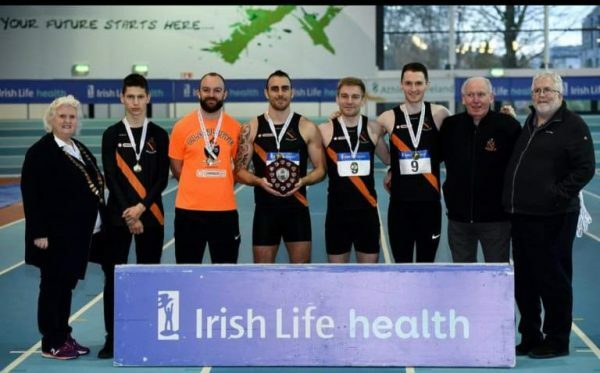 The National Indoor League competition commenced in 2016 and since its inception the Clonliffe men have dominated winning the title every year with that streak continuing to include 2019. So it`s an Indoor four in a row! The men’s team headed into Day 2 in a very strong position courtesy of an excellent showing in round 1 at the NIA Abbotstown two weeks ago. That form continued today with Eamonn Fahey in particular being one of the main drivers. Eamonn was 1st in the 200 in 22.36 and proving that he really is an all rounder was 2nd in the high jump (1.70m). 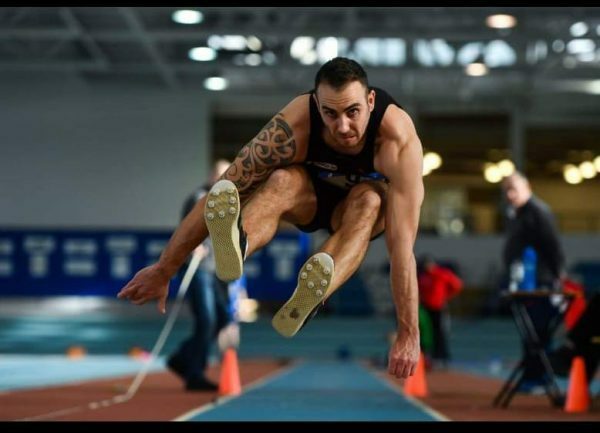 Niall Counihan also contributed excellently today winning the triple jump in 13.01m. Jarlath Jordan finished 4th in the 1500m in 4.20.20 and an injured Timmy Crowe just completed the 400. The 4 x 200 team of Niall Counihan, Mark McDonald, Pierce Friel and Val Strogans took 2nd in 1.35.65. 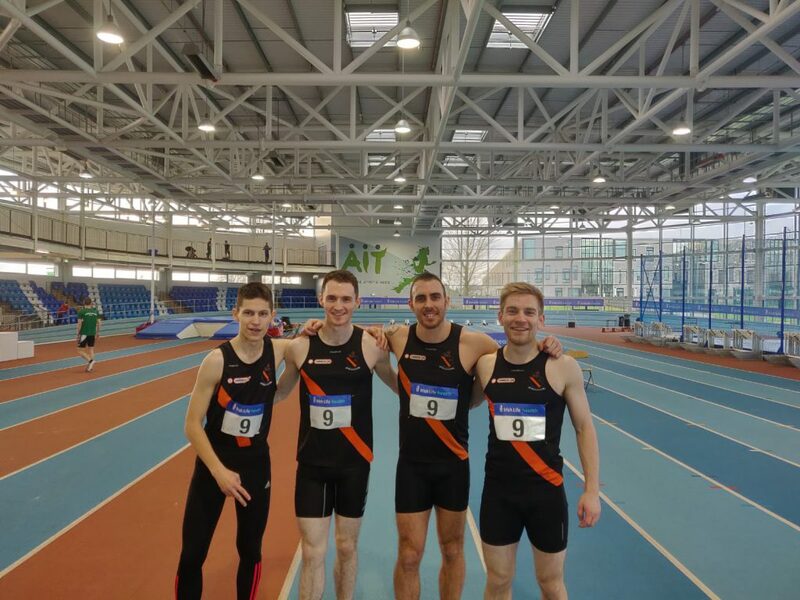 The Clonliffe team were well ahead of the chasing pack amassing a total of 105.5 from Donore 84 and Raheny 77.5 meaning that the National Indoor league title remains in Santry. The women’s team put in a very solid day`s work in Athlone today. This team being a combination of youth and experience and probably performed better than they had expected finishing up in 4th place on 75 points behind defending champions DCH who once again prevailed. Well done to both teams today and to the club captains and coaches for the work in preparing the athletes.